SnapCacklePop: One Direction to tour Australia..! One Direction to tour Australia..! 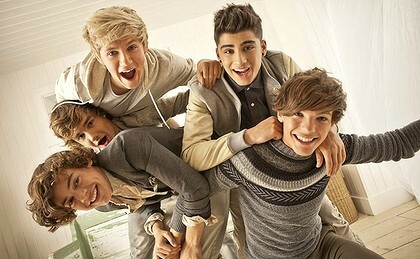 THE hottest pop band of the moment, One Direction yesterday announced their Australian Tour. A few eyebrows were raised at the SCP HQ today when most of the girls in the office got a bit too excited about the news and then office gossip turned to which one of 1D was cutest. The Brit Award winners, aged from 18 to 20, will play three headline shows in Sydney, Melbourne and Brisbane this April. Tickets go on sale at 9am, Friday March 2nd. “We can’t wait to come down under and meet everyone that has supported us,” said Zayn Malik on the news of their first visit to our shores. Check out their video message below..!